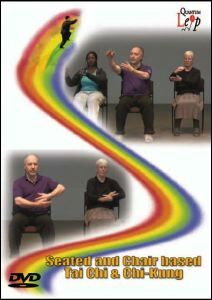 This DVD was developed with various patient groups and is designed for seated and wheel-chair practice. Everyone involved, with the exception of the main instructor, has MS (Multiple Sclerosis), chronic pain (Fibromyalgia ), ME/CFS (Chronic Fatigue Syndrome), cardiac and other medical conditions.The DVD include chi-kung, Tai Chi form, Tai Chi for self-defense and a section on relaxation. It was developed following frequent patient requests for support to the rehabilitation groups run by Mark Peters. It now sells worldwide.